These labels make the perfect T shaped plastic plant labels for larger plant pots. The greater length of these labels makes them far more visible which is important in the greenhouse or garden nursery alike. The stem of these seed bed labels also makes them ideal for use directly in the garden soil. Where again the greater length of the plant labels makes them easier to be seen and read. 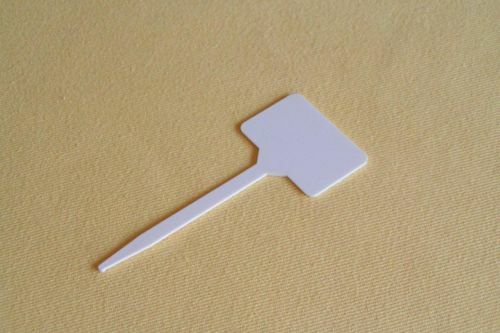 Pack of 10 or 50 white plastic T labels. Each label measures 56mm wide by 37mm and 98mm long. 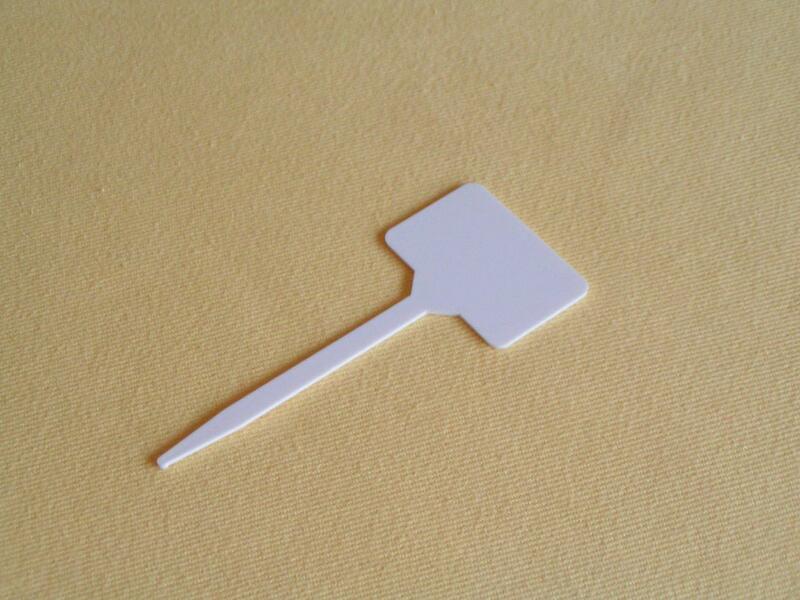 T shaped plant labels in medium 15cm and larger 17cm sizes also available to buy from EdenSupplies.